It has become kind of a tradition to do these "Parts Posters" for new babies in my family when they come. My sister in law had a baby girl in December and we got together to get these photos a while ago so that I could put one together for her. What a sweet little girl- I love being an auntie and getting to hold and snuggle these sweet little babies! Here's her big sister's parts poster from back in 2010. I love these--they are always so much fun. 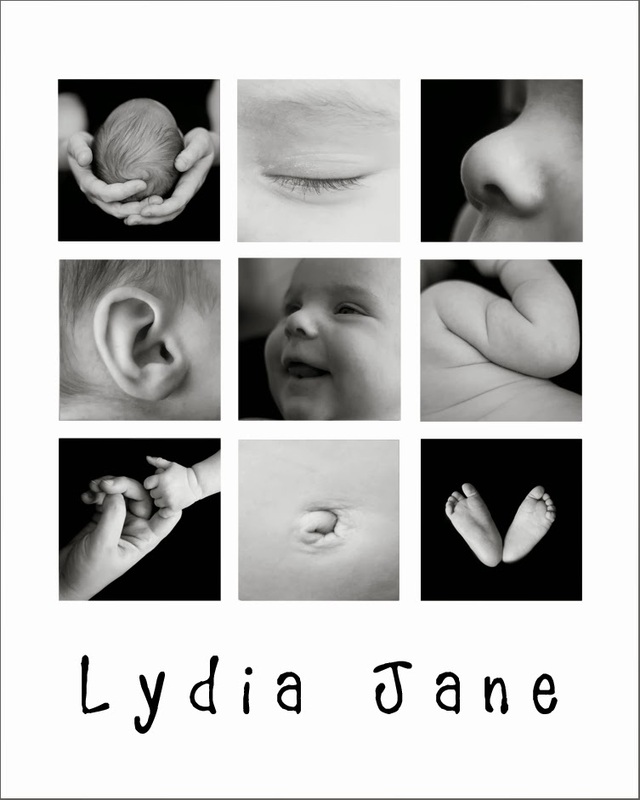 "Parts posters" were always one of my favorite parts of taking baby portraits. What a great keepsake.